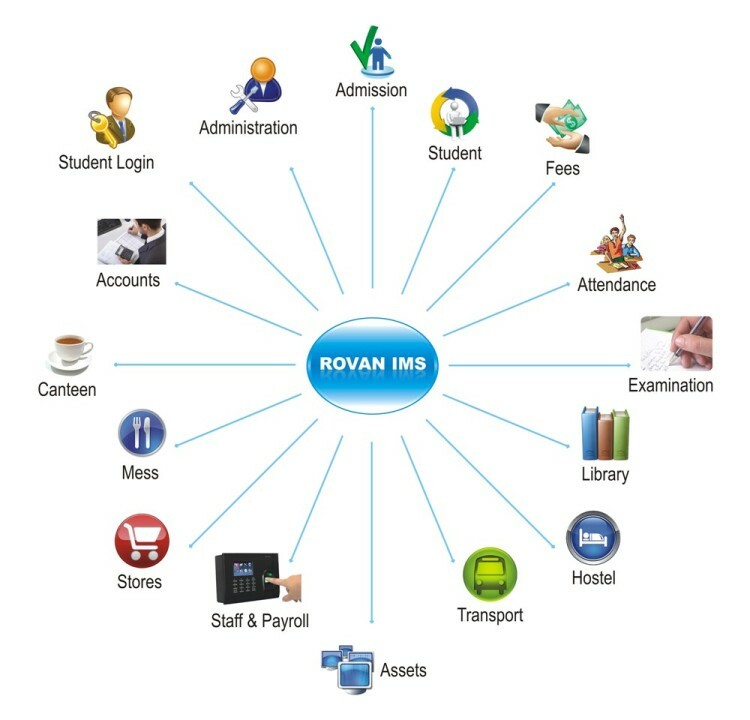 ROVAN IMS is a good College Management System Software that helps to manage the institution better. It helps to use the resources better and serve the students better. ROVAN IMS is easy to learn and easy to use. It is a multi user system. You can use it as an intranet or internet application. ROVAN IMS – College ERP Software contains 15 modules as shown below. All modules are integrated and very effective in serving students and staff. Choose the modules you want and pay only for them. You can buy other modules in future and integrate with the existing modules. The Principal / HOD can view complete information about a student in a single screen. It will show the personal details, fees particulars, attendance details, mark details, library activities, hostel activities and transport details. This empowers the Principal / HOD to face the parents with accurate data and have a worthy discussion about the future of the student. The same data can be shared with the students / parents through Student Login Module. This ensures a healthy flow of information. ROVAN IMS helps you build an efficient college management system and achieve better control and better service in your institution.